Castile soap is one of the oldest known soaps, yet continues to innovate the way we clean our homes today! You can use this simple all-natural soap to clean nearly anything in your home! A few years ago, I swapped all of our hand soap for a homemade hand soap recipe made with Castile soap. I had seen Castile soap many times for sale in the grocery store, but I wasn’t really sure what it was. I decided to give it a try…and I haven’t looked back since! Castile soap is one of my favorite green cleaning products. In fact, it’s one of the only things I use on a daily basis to keep our house and our bodies clean! Castile soap can be used for so many things including: shampoo, body wash, hand soap, countertop cleaner, dish soap…and much more. I use Castile soap as dish washing soap, laundry detergent, hand soap, countertop spray, and soft scrub on a daily basis, but the uses are endless! This magical green cleaning product is non-toxic and bio-degradable since it is made from plant based oils rather than animal fat. The most common Castile soap brand is Dr. Bronner’s. You can typically find at your grocery store, but it is also available on Amazon and other online retailers. I have found that Target has the best price. It’s important to note: Castile soap comes in a concentrated form, and needs to be diluted in order to use! Follow the dilution suggestions on the bottle for everyday household uses. Castile Soap is a plant based soap made from vegetable oil such as olive, coconut, palm, or any other plant based oil rather than from animal fat. It is believed that Castile soap originated in the 11th C in Aleppo of the Levant region and moved westward after the first crusades. When soap was discovered by Europeans after the first crusades, it became popular as it began revolutionizing hygiene. The crusaders had witnessed how the soap was made during their time spent in the Holy Lands, and attempted to reproduce it. Eventually the process made its way to Spain, and while most regions failed at reproducing the high quality soap, one area in particular was able to get the recipe just right: Castile. The soap being made in Castile became known for its superiority and became popular with Spanish royalty, which then spread to royalty in other countries. Originally, the soap was made with laurel oil (bay leaves), but due to laurel oil being inaccessible in Spain, olive oil began being used, which was available in abundance. It is believed that Castile soap reached England sometime between 1567 and 1616 and was known by its latin names: sapo hispaniensis (Spanish soap) or of sapo castilliensis (Castilian soap). In the 17th C, Castile soap became controversial due to its Spanish Catholic ties. During the rein of Charles I, Spanish soap manufacturers purchased the monopoly of soap making; however, Protestant England did not approve of the monopoly of a Catholic manufacturer. Ultimately the Spanish manufacturers lost the monopoly after campaigns of wash women showcasing local soaps being superior to Castile soap. How is Castile soap made? Castile soap was originally made using Laurel (bay leaf) oil and lye (ash); however, as it spread through Europe where Laurel oil was unavailable, olive oil began being used. Castile soap is made by combining lye, also known as caustic soda which is the common name for sodium hydroxide (for hard soaps) or potassium hydroxide (for liquid soaps), plant based oil, and water. Lye is highly soluble in water and produces caustic basic solutions. Lye is known for its cleaning abilities and is a common ingredient in oven cleaners and drain unclogging solutions due to its natural degreasing abilities! When lye is mixed with fat or oil, soap is formed! Castile soap is made by combining lye with any type of vegetable or plant based oil such as avocado, nut/seed, olive (most common), or hemp, among others. What can Castile soap be used for? Castile soap is one of the most incredible soaps because it can be used for practically anything you need to clean! Even your teeth or vegetables! One of the most commonly available brands of Castile soap is Dr. Bronners. This soap comes in a concentrated form, so all you have to do is dilute it to suit your cleaning need! Dr. Bronner’s dilution cheat sheet is a wonderful asset as you get started using Castile soap, but eventually you’ll know just how much (or how little) to use for your cleaning routines. This is just the tip of the iceberg, you can pretty much clean anything in your home with this natural, bio-degradable soap! Castile soap comes in a concentrated form and will always need to be diluted before using. Common dilutions are about 1/4 cup soap to 3-4 cups water for hand soap and dish soap. I add about 1/4 cup to my laundry (in the normal soap dispenser). For dilution directions, see Dr. Bronner’s Dilution cheat sheet. Does Castile soap get sudsy? Yes Castile soap will suds up just like your traditional dish or hand soap. Can I use scented Castile soap on my dishes? Yes, I use lavender scented Castile soap for my laundry, dishes, and hands. Castile soap is considered a disinfectant, and is not antibacterial. To be considered antibacterial, a solution must kill 99.9% of germs. To be a disinfectant, a solution must kill 99% of germs. Adding tea tree oil, which is a natural antibacterial oil, can help make your solution antibacterial, but please note, tea tree oil is toxic to cats. Is Castile soap bio-degradable and non-toxic? 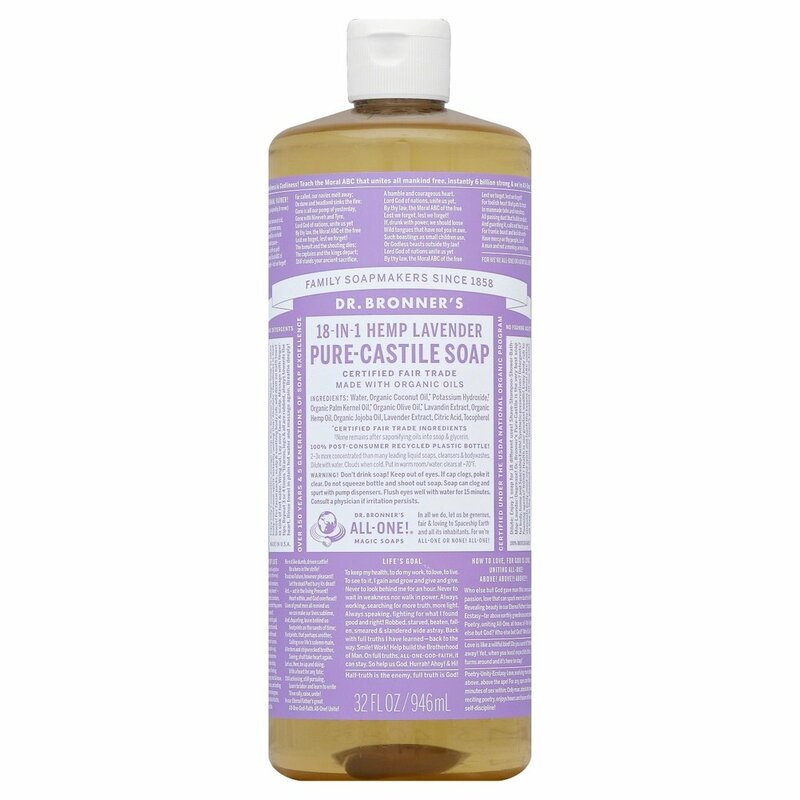 Pure Castile soaps are completely bio-degradable and non-toxic. Made with simple, age old ingredients, you can even use pure Castile soap as a vegetable wash (diluted properly). This makes Castile soap safe for your self, your kids, and your pets (including dogs)! You can find Castile soap at most grocery stores! This makes it so convenient! You can also purchase Castile soap from Amazon or Dr. Bronner’s website. What can I mix Castile soap with to create green cleaning products? Castile soap doesn’t need to be mixed with much. In fact mixing it with common green cleaners can actually reverse the cleaning properties of the soap. Since Castile soap is alkaline, do not mix it with vinegar. You will be left with a filmy mess! Castile soap and baking soda share a similar pH level, and mixing the two together is safe. One of my favorite ways to use Castile soap is to sprinkle baking soda and a few drops of Castile soap and water over a dirty surface to create a soft scrub that works like magic! This is how I clean my farm sink when it gets disgusting! In addition to lye and oil, essential oils can be added to Castile soap for fragrance and additional cleaning properties. Dr. Bronner’s soap contains 2% essential oil making it safe for pets and household cleaning (including dishes / vegetable wash). 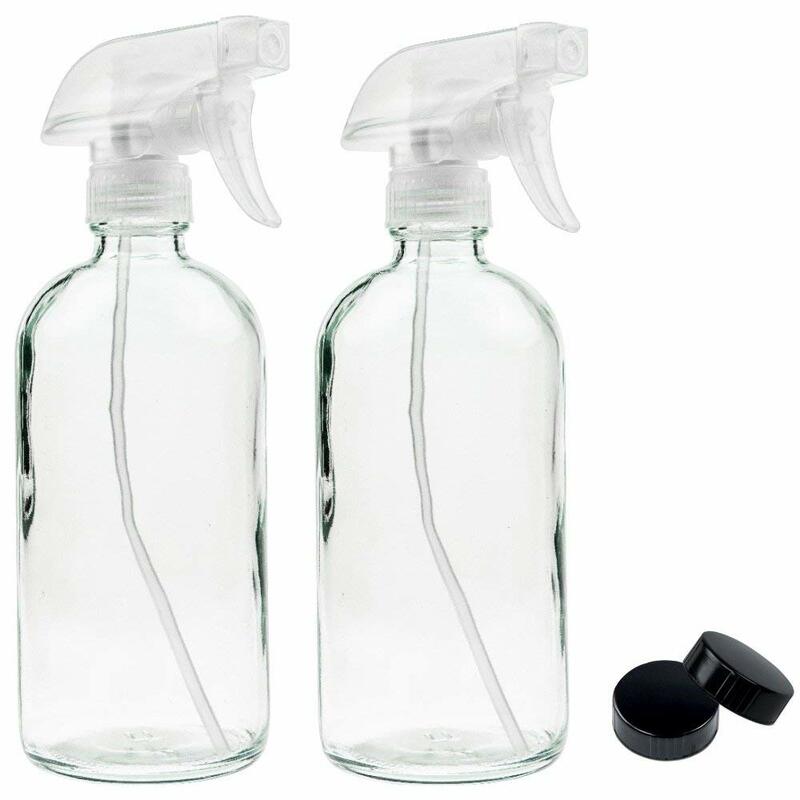 If you notice a film left on glass items after using Castile soap, you can use a diluted vinegar rinse. It’s important to use a vinegar rinse after using Castile soap. Do not mix vinegar and Castile soap together in the same solution, you will be left with a gunky mess. When vinegar - an acid - is mixed with Castile soap - a base - they react together which causes the soap to un-saponify. Meaning the soap is reversed back to its original oil base, leaving you with nothing more than oil. Instead, use Castile soap as you normally would to clean, then after (if needed) you can use a vinegar rinse. After washing dishes, dip them in a sink full of diluted vinegar and rinse. Or, after cleaning a tub or sink, spray a diluted vinegar spray, give a quick scrub, and rinse. The vinegar dissolves the soap scum build-up from leftover minerals that have reacted with the Castile soap. Note: I have noticed that if I soak glassware in Castile soap, I am left with a thick film. To get rid of this film, I soak in a diluted vinegar rinse. Remember, Castile soap is not safe for dishwashers - so use it for hand washing dishes only! I use Castile soap for all of our laundry. It works wonderfully! For spot treatment, I’m still a fan of Shout! however, I am on the hunt for a good all-natural spot remover. 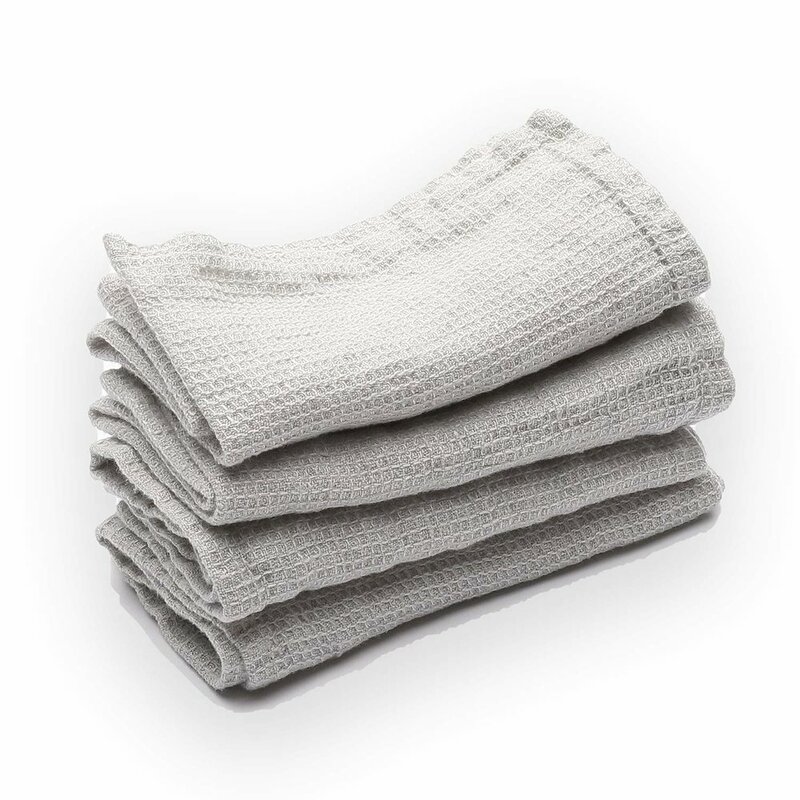 To use Castile soap in your washing machine, simply treat it the same way you would normal detergent. I use anywhere from 1/4 cup to 1/2 cup of Castile soap per load. The rose and lavender scents are my favorite and leave our clothes, sheets, and towels smelling wonderful! On the bottle of Dr. Bronner’s Castile soap, you’ll see that it’s advised to add vinegar to the rinse cycle of your laundry. I do not do this simply because I don’t want to sit and wait to catch the rinse cycle to add the vinegar. Remember, don’t mix vinegar and Castile soap together. Instead, for laundry, I haven’t found vinegar to be necessary. I do not notice any filmy build-up on our clothing. Every Tuesday I link up with my friends Sarah and Lisa to share easy farmhouse and home making ideas that make living simply a little bit easier for you! Enjoy!